FREE Women Only Event! 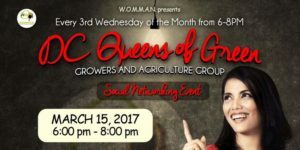 Female entrepenuers and women in the Hemp, Cannabis, or other agricultural related business are highly encouraged to attend! Be prepared with your promotional materials, to network, to learn, to share, and to grow! This is a safe space to meet other like minded women! Our guest speaker is the founder of One Love Massive, Molly Ruland! Happy Hour prices and great food! Lastly, after 8, there is Kareoke at Pitch Tavern if you choose to stay.